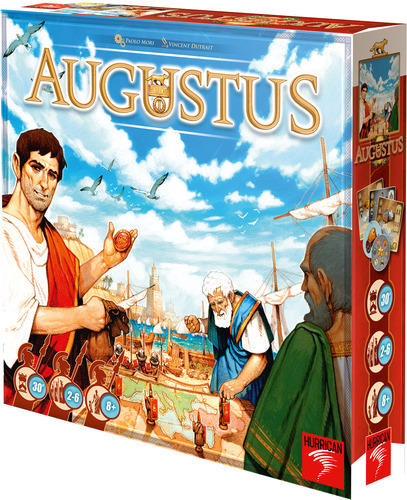 In Augustus, you will vie with your fellow players to complete "objective" cards for special powers and ultimately for victory points. Each card has 2-6 symbols which you must populate with legionnaire meeples in order to complete the card. These symbols are drawn one at a time from a bag, with all player gaining the benefit equally, but interestingly, there are more of some symbols than others. So the pivotal skill you'll deploy is in making your choice of which three objectives you'll start the game with (you're dealt six) -- balancing potential difficulty of completion against value of the reward -- and then which of five available objectives you'll add to your plate each time you complete one of your three. The game ends when someone completes seven. So there's real strategy but the game is still ruled by luck of the draw. Beautifully illustrated, about 30 minutes to play, and already a favorite for many families, Augustus is one of the nominees for the 2013 Spiele des Jahres. 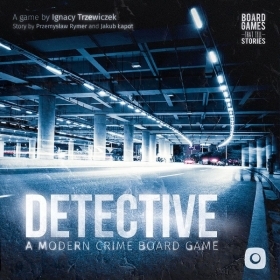 Experience an immensely popular city-building card game in its original form! 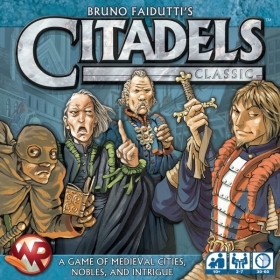 Citadels Classic brings you Bruno Faidutti’s game of card drafting and intrigue as it was first published by Fantasy Flight Games in 2002, with the characters as they were first visualized by Julien Delval. 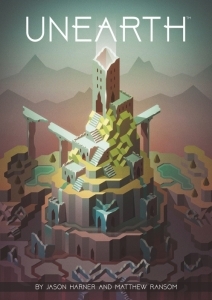 Featuring easy-to-learn rules and engaging social interactions, Citadels Classic is a perfect entry-level game for younger or less experienced gamers. This edition is both portable and affordable, enabling you to create the medieval cities of your dreams anywhere you want.